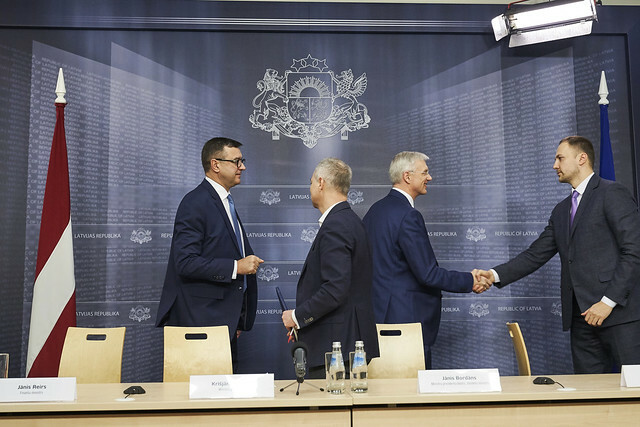 Prime Minister Krišjānis Kariņš said: “I have been in my post for less than four weeks, but we have already come to a conclusion that in order to ensure a strong, stable and sustainable financial sector – the cornestone for dynamic economy – we need to undertake a reform. We have to conduct an overhaul of the anti money laundering system to ensure the highest standards of supervision, regulation and transparency”. “I have tasked the Minister for Finance, the Minister for the Interior and the Minister for Justice with drawing up a legislative package for the reform of the financial sector by the end of March to strengthen the capacity of competent authorities, especially the Finance and Capital Market Commission (FCMC), to effectively combat money laundering and terrorism financing. In the resolutions, the Prime Minister has requested solutions for improving the FCMC governance model, as well as changing the procedures for nominating and approving the FCMC board. K. Kariņš also asked for draft amendments to the Credit Institution Law to establish clear conditions for action to be taken by competent authorities in cases where a credit institution's activity is terminated due to money laundering and terrorism financing. He has also asked for legislative recommendations for improving the tracking of where deposits originate from, by stipulating that a person must prove the legal origin of financial means. In addition, K.Kariņš has asked the Ministry of Justice and the Ministry of the Interior to find a solution for unburdening the prosecutor's office, the police, and the court to ensure that they have the resources needed to address the investigation and adjudication of serious crimes, particularly in the field of combating money laundering and terrorism financing.